When we set out to build Inspect & Cloud, we wanted to design a property management inspection software and app that not only digitized the property inspection process, but also provided brokers with the tools to manage their inspectors and employees. Since our team is made up of real-life property managers and real-world programmers, we had the best of both worlds developing a solution that met everyone’s standards. We’re proud to announce the release of our new video. It highlights why we feel Inspect & Cloud is such a great property management inspection software and mobile app. 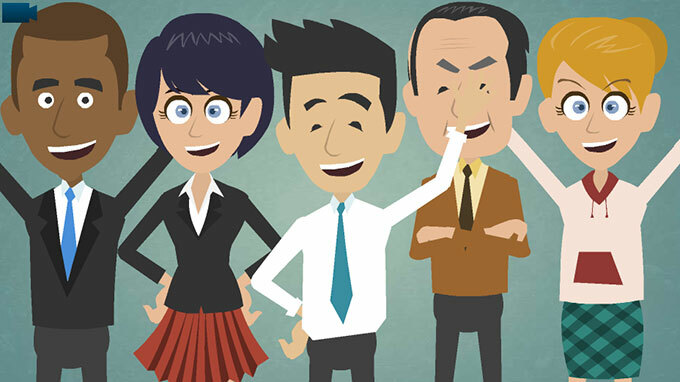 Let us know what you think of our band of cartoon property managers! See the video transcript below. As a property manager or broker, you know the importance of making sure your properties have inspections done …when “tenants move in”… “routine inspections”… and when tenants “move out”…. With a clip board and camera…. this can turn into a mess and cost you more time and money than necessary. Has your staff misplaced an inspection report? Do you sometimes wonder where your staff is at and what time they completed the inspections? Better yet, do you spend an abundance of time downloading and then organizing property photos for each of your units? The inspection process is essential to property management, yet it can be disorganized and time consuming. However, if you have the right tool, you can simplify this process and save thousands of dollars every month. …A fast, simple, DIGITAL inspection software and mobile app that allows you to create property inspections with less management and overhead. Now see why brokers everywhere are using Inspect & Cloud allowing them to execute property inspections in less time with more accuracy. …..Using check boxes and comments on your touch screen you can then do your property inspection and attach photos to each room. Once finished they can then hit the sync button for each report, allowing them to send the inspection to the web and allowing you to access the inspection report from anywhere. You can even email this directly to the property owner on the spot if you would like. Once an inspection is complete, it will be stored in your own safe and secure cloud storage system for you to access at any time from any device. Always have a property’s inspection at your fingertips to view, print out, or send with your company’s branding. Inspect and Cloud allows Brokers to use their web browsers to oversee inspectors in real time. Find real time status updates on a map of all property inspections currently ordered and who they were assigned to, while easily overseeing future inspections in calendar view. Our current brokers and property managers using Inspect & Cloud say that on average, they save almost 3-4 hours a day with Inspect & Cloud. In addition, they report that property owners are thrilled to be getting a clear, professional report instead of handwritten reports or disorganized photos. Sign up for Inspect & Cloud right now and get a free 14-day trial. Find out first hand what the entire property management industry is raving about. Inspect & Cloud—fast, simple, digital inspection software with less management and overhead. Start cutting Cost & Time today!